Becky and Diana explore concepts from David Allen’s book, Getting Things Done. In Getting Things Done, David Allen describes a 5 step process to master productivity. The steps: Capture, Clarify, Organize, Reflect, and Engage. 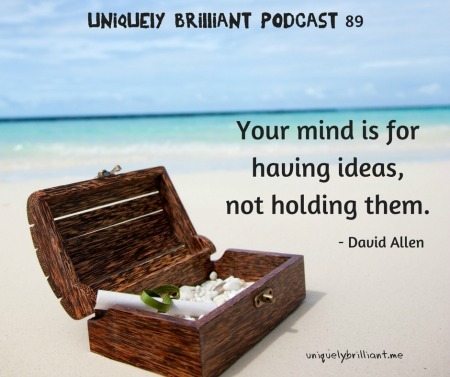 Get every idea, task, and to-do item out of your head and put it somewhere. Whether you use an app, a whiteboard, a notebook, or something else, find a place you trust to store your ideas. Developing this habit prevents the cognitive load of incompletions (Roy Baumeister). Use the 2 minute rule. If it only takes 2 minutes to deal the item, do it immediately. Give ideas and projects a priority. What do I need get done today? Review what your tasks and projects so you learn to trust your choices. Don’t let worrying about the end result paralyze you and keep you from moving forward. 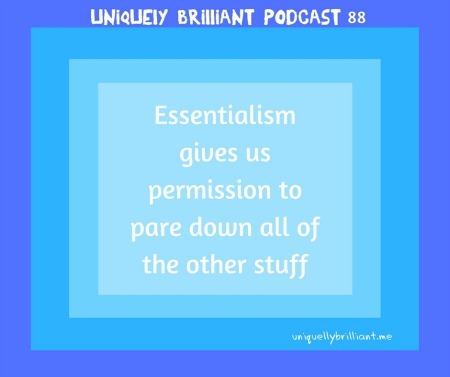 Becky Berry and Diana Bader discuss the concept of Essentialism. Our modern concept of Essentialism is based on the book, Essentialism, by Greg McKeown. We tend to believe we have to do it all; that it’s wrong to delegate or even drop tasks. When other people are actually the priority (like kids, partners (at home or at work), or employees), it’s crucial to get their input about what makes them feel like they are a priority. When we know our priorities, it becomes easier to delegate or let go of things that don’t honor them. We do our best when we focus on what we do best. Just because we can do more doesn't mean we should. We can filter opportunities through the Essentialism lens and choose the best ones for us. When our priorities are respected we feel valued. Becky and Diana explore the relationship between traction and friction. Traction helps us navigate all terrains. 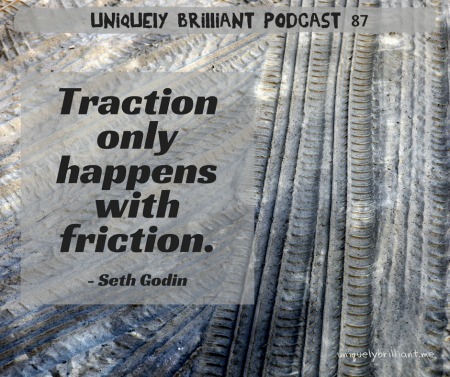 Friction helps traction move us forward. Many people get stuck in the friction. Friction leaves tracks to mark our progress. The bigger the idea the more powerful the friction. Obstacles can be crushed under the weight of traction. We have become so resistant to friction that we have lost our ability to deal with it and have created rules to avoid it. New ideas always create friction before they gain traction. Traction is a function of friction and momentum is the energy produced from traction. We don’t get traction, we gain traction. 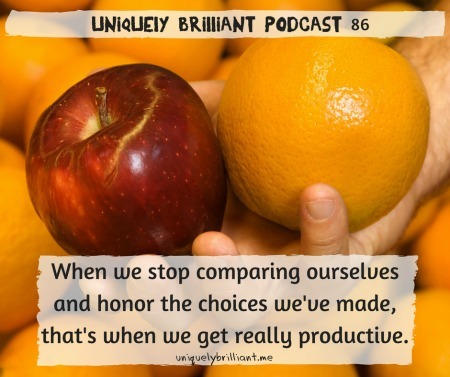 Becky and Diana challenge us all to stop the incredibly destructive habit of comparing ourselves to others. There are so many shoulds to sort through! Often our comparisons are fleeting thoughts that have a big impact. We must trust ourselves and affirm that we know what to do. Comparison keeps us focused outwardly instead of on ourselves. When we compare ourselves to others we limit who we are. Key questions: Where am I right now? How am I feeling? Am I uncomfortable because I’m stretching or does it just feel wrong? When we are grateful for our journey we can trust and act. There is no room for growth or progress when we are stuck in comparison mode.